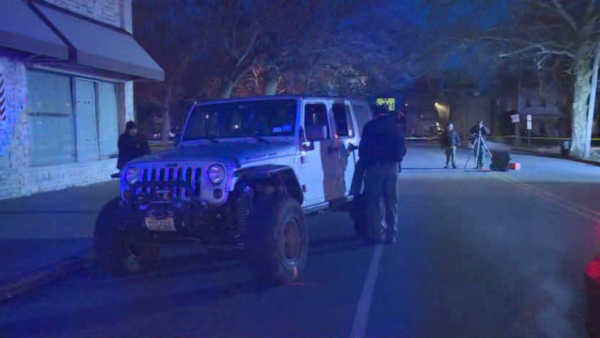 DOVER, New Jersey (WABC) -- A New Jersey police officer is in critical condition after being struck while responding to possible carbon monoxide poisoning in a vehicle. The officer from the Dover Police Department responded to the car around 4:10 p.m. Saturday. As the officer was walking over to the car, the driver of the Jeep placed the vehicle in drive, and went directly at the officer. The suspect then ran the officer over, and proceeded to jump the curb and flee through the park. Officers were able to stop the vehicle, and arrest both the male driver as well as the female passenger. The officer was taken to Morristown Memorial Hospital where he is in critical, but stable condition.